Q: I keep seeing a skunk digging through my trash. I don’t want to go out and confront it because I’m scared of getting sprayed. What should I do? A: The best thing is to remove the garbage. 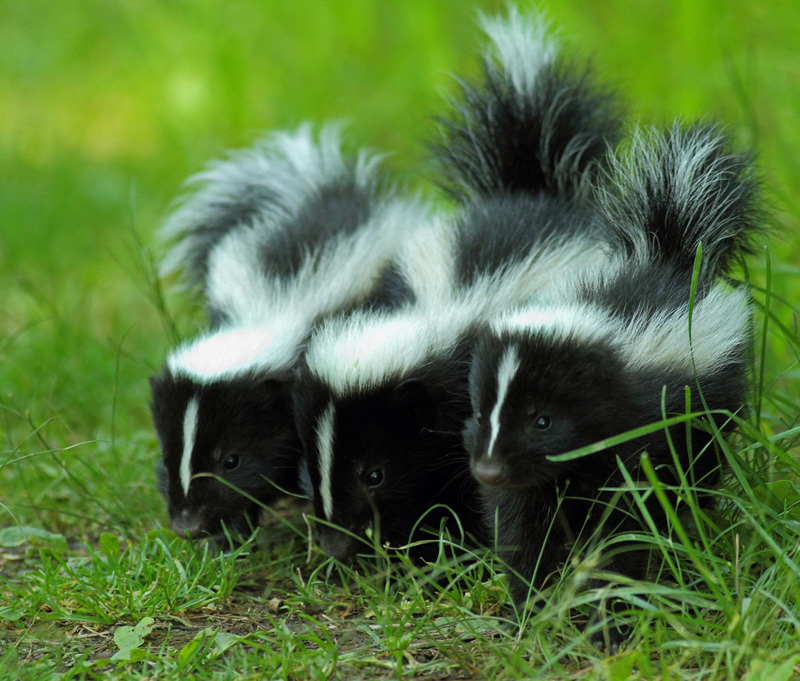 Garbage is a very alluring food source for skunks and other wildlife, like raccoons and crows. And once skunks and other animals know this food source is available, they will keep coming back for more! Keep your garbage in bins with tight-fitting lock-down lids. If possible keep these bins in a garage until the morning of pickup. If this isn’t possible, you can build a sturdy container (that seals tightly) to store your garbage bins in. This should keep any animal from getting in your garbage.